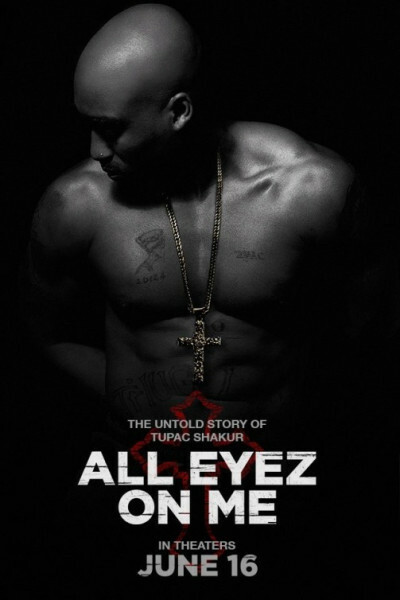 I knew absolutely nothing about Tupac Shakur before stumbling into this movie, its time simply being convenient as a wind-down. The film is okay, nothing great, which I found impressive...considering I'd heard nothing about it prior. It wasn't hokie, so that's something. Most impressive, however, are Tupac's stats. By the age of 25, he'd sold 75,000,000 records. The movie's namesake, a double album, is one of the highest-selling rap albums of all time, certified at 10x platinum. He's been dead 21 years, but released 4 studio albums, appeared in 9 films, and another 22 Tupac records have been released posthumously, 7 of which he had in the can before passing (for a total of 11). In April of this year, he was inducted into the Rock and Roll Hall of Fame, along with then contemporary Snoop Dogg. Like Elvis, MJ, Prince, George Michael and all the rest, one can only wonder, "But what if...?"